Note : For 4 years old and above. The tour that has marked its footprint in prime cities of the nation namely Kolkata, Chandigarh, Pune and will now head to Gurgaon. The show will feature the singer in the lead showcasing his biggest hits. 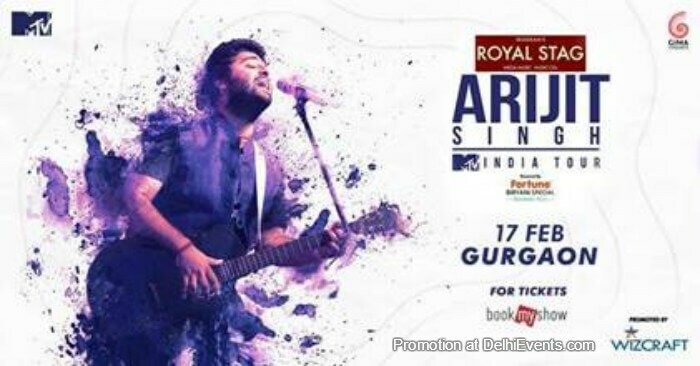 Royal Stag Mega Music Arijit Singh MTV India Tour Powered by Fortune Biryani Special is a concert series produced by Wizcraft.